I still have it but i'm not using it anymore. But it still works well even i dropped it many times and my daughter soak it in a glass of water.HEHEHE. By the way this unit is a classical like 3210 model. catalin, 30 Nov 2008greatest mobile phone ever madeagree best ever this is my first phone man 3310!!!!!!!!!!!!!!! hi! to all commentors, i had this phone and this was my first phone ever.so far, its not working anymore i tried to survive this unit. but stiil could repair. how sad am i? Anonymous, 18 Nov 2008how can u say this phone is better than the iphone it hasnt even got colour screen a camera or... moreActually that's exactly what people are trying to point out, it is not an ancient phone- is is a phone that will never go out- it's classic design, excellent performance will always make it a great Nokia phone. I still have mine. 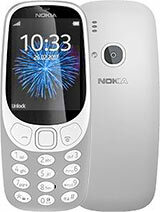 I sooo hope very much, that Nokia will make another phone exactly with this very same design and shape and modernise it with a memory card and other features. People will definately go out and buy it. Technical wise this is a tough and excellent quality phone. You won't understand wise if you haven't had on. Great phone indeed. I've owned both of my 3310's since they came out, and neither of them have played up on me whatsoever. Love em to death, and still going strong for almost 10 years. Old and outdated so how can you peole comment that it is so great. It was ok in it's day. my wife had one for a few months and it packed up for no reason. how can u say this phone is better than the iphone it hasnt even got colour screen a camera or music? its acient this phone move with the times its not as good as all use are making it out to be anyway!